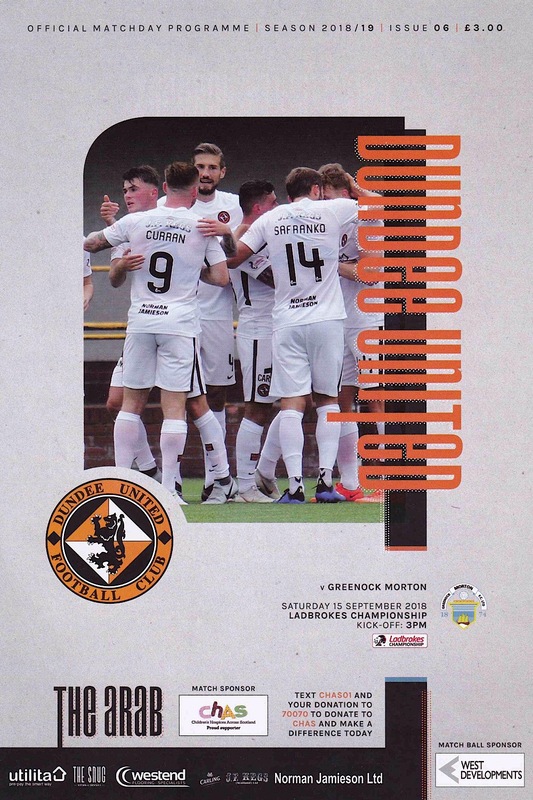 United needed a stoppage time equaliser to grab a draw with Morton at Tannadice in front of a disappointing crowd of only 4594. After Morton took an early lead from the penalty spot, it took a late goal from the retuning Fraser Fyvie to give United a point they barely deserved. 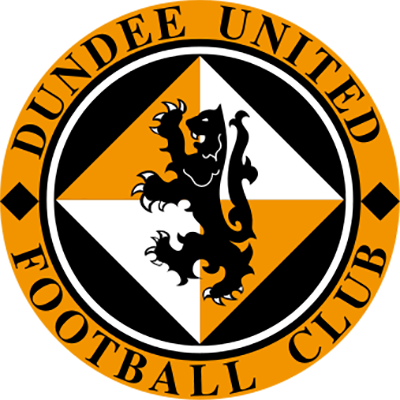 It was Dundee United’s third consecutive 1-1 draw in all competitions. It was the first game in charge of Morton for former Finnish international striker Jonatan Johansson after Ray McKinnon’s abrupt and unseemly departure to Falkirk. United manager Csaba Laszlo made two changes from the previous league game at Alloa with Callum Booth and new signing Rachid Bouhenna coming in for Stewart Murdoch and Jamie Robson. Billy King and Fraser Fyvie were again on the substitutes’ bench as they continued their returns from injury. The game did not start well for United as Morton had a chance within the first minute. Michael Tidser picked the ball up in midfield and was allowed to drive towards goal without too much of a challenge from any United player. Luckily for the home side, Tidser’s shot from the edge of the area went inches wide. There was very little in the way of action aside from that in the early stages of the game as both sides struggled to keep possession, but the game livened up after ten minutes when the away side took the lead. Morton forced a corner kick on the right hand side, and as the ball came over Rahid Bouhenna, in a rather inauspicious start to his United career, was adjudged to have wrestled Gregor Buchanan to the ground. The lack of any real protest from the United players was rather telling, and Bouhenna was booked for the challenge. Michael Tidser sent Matej Rakovan the wrong way from the spot to give Morton the lead. United looked shellshocked after conceding the goal, and for most of the rest of the game were distinctly second best against a Morton side who always looked comfortable. In the 19th minute, this was rather summed up by Paul Watson giving the ball away to Ross MacLean, who drove towards goal, but as with Michael Tidser in the first minute, he could only drag his shot wide. Watson had a chance to redeem himself two minutes later from a Fraser Aird corner kick but he headed the ball well wide, with what was in mitigation a difficult chance. The flow of the game was not helped by some eccentric refereeing from Colin Steven, and the United fans made their feelings clear to the beleaguered official as his decisions became more and more peculiar as the half drew on. Yannick Loemba in particular was unlucky not to get a couple of decisions from him in the first half. In the 25th minute Bob McHugh smashed a powerful volley just wide from a tight angle on the right of the box as the visitors sought to press home their advantage. After half an hour, United had their first real chance of the game when Pavol Safranko headed the ball wide after a great cross from the left from Loemba. Fraser Aird was standing behind Safranko and was perhaps in the better position to meet the cross, but the Slovak got there first. With five minutes to go before half time, Ross MacLean was booked for a bad challenge on Paul Watson for which he could have easily seen red on another day. The foul seemed to wake up the United players, and they actually finished the half as the stronger team. They were unlucky not to take the lead when Fraser Aird floated in a cross from the right which was headed towards goal by Pavol Safranko, but Ryan Scully did well to block the shot from point blank range. Rachid Bouhenna then broke forward, played the ball wide to Fraser Aird, and the Canadian’s cross into the box was just missed by Safranko in the middle. In the final minute of the half, both teams were guilty of missing glaring opportunities. Firstly, Morton striker Denny Johnstone was played through on goal and after beating the United offside trap was one on one with Matej Rakovan, but his shot was weak and the United keeper smothered the ball. From the resulting clearance Craig Curran was equally wasteful, lashing his shot into the side netting after being played through on goal by Adam Barton. He did look suspiciously offside, so much so that Morton defender Lee Kilday was booked for his protests. Although United had finished the first half reasonably strongly, the second half saw them go back to the poor display they had provided for most of the first half. As before, Morton seemed content to contain United and the home side were unable to find a way through them. There was no clear shape or coherence to United’s play, making the away side’s task a lot easier. As a result, chances for either side were at a premium in the second half. Gregor Buchanan did come close to connecting with a Rory McKeown cross just after the break, when any touch would surely have doubled Morton’s lead. Pavol Safranko looked like he had been played through on goal by Fraser Aird after seven minutes of the half, but a very late offside flag put paid to that, although it was immaterial as Safranko missed the target in any case. Aird then gave the ball away to Reghan Tumilty in midfield, but Rakovan was able to save the former United player’s effort on goal. Christophe Rabitsch and Adam Barton were both booked as the half drew on, as United continued to struggle to have any impact on the game. With twenty minutes left, Morton had two good chances within a minute when Denny Johnstone headed over from a Rory McKeown throw-in, then Lee Kilday headed the ball over the bar with a free header from a corner kick. 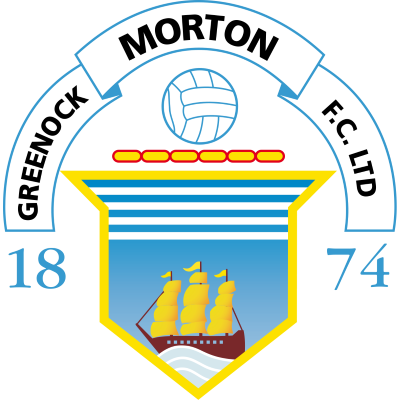 With sixteen minutes left, club captain Fraser Fyvie was brought on for the ineffectual Adam Barton. His introduction gave United an impetus they had previously lacked as within three minutes, he smashed an effort wide of the post. A minute after that, Yannick Loemba ran onto a knockdown from Pavol Safranko and cut inside his marker, but he did not have as much time as he realised, his shot was weak and was easily gathered by Ryan Scully. Although Loemba hit a 30 yard dipping shot just past the post with two minutes remaining, the match was seemingly drifting towards its end with a United defeat, as the home side looked utterly devoid of ideas or inspiration. A large section of the United support had already left, with many making their feelings towards the manager abundantly clear. However, almost out of nothing, in the third and final minute of stoppage time Dundee United grabbed an unlikely equaliser. A Frederic Frans long throw from the right caused uncertainty in the Morton defence and the ball fell to Fraser Fyvie, who smacked a first-time half volley from around ten yards out past Ryan Scully in the Morton goal to level the scores. In truth, United did not deserve the point, but the frenzied reaction from manager Csaba Laszlo left no-one in any doubt how important the goal was for his own job prospects. The draw left United three points off the top of the table, after a performance which was, even by recent standards, rather lacklustre.